Last weekend I had the pleasure of attending Food Allergy Day sponsored by The Children's Hospital of Philadelphia (CHOP). 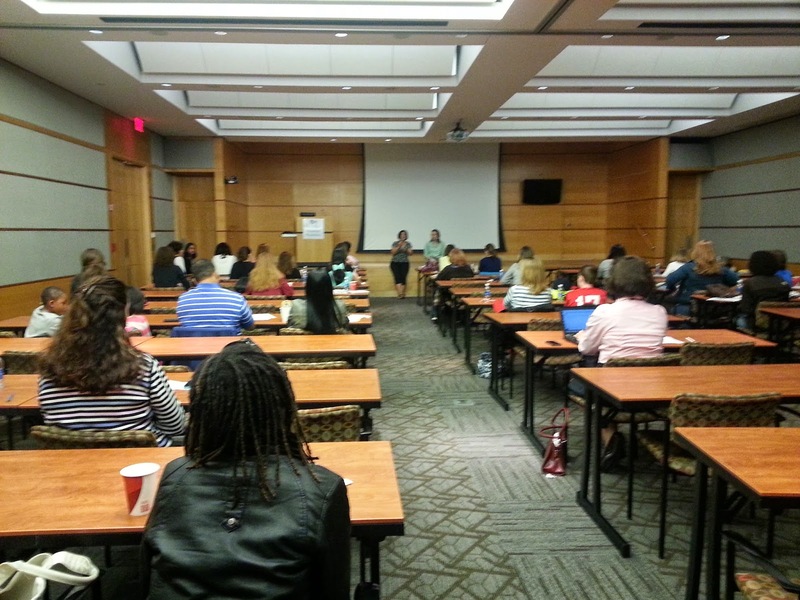 It was a free event that anyone could attend who has an interest in food allergies. I feel like there's always at least ONE new thing you can learn or be reminded of when you attend an event like this. So, I thought I'd share a few things with you from my day there! 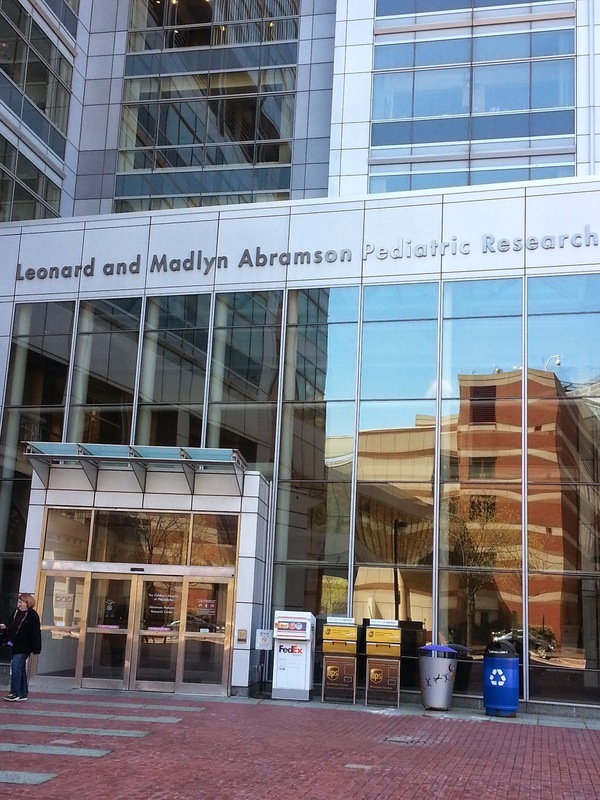 Food Allergy Day was held at the Abramson Research Center at CHOP, what looked to be an impressive facility! 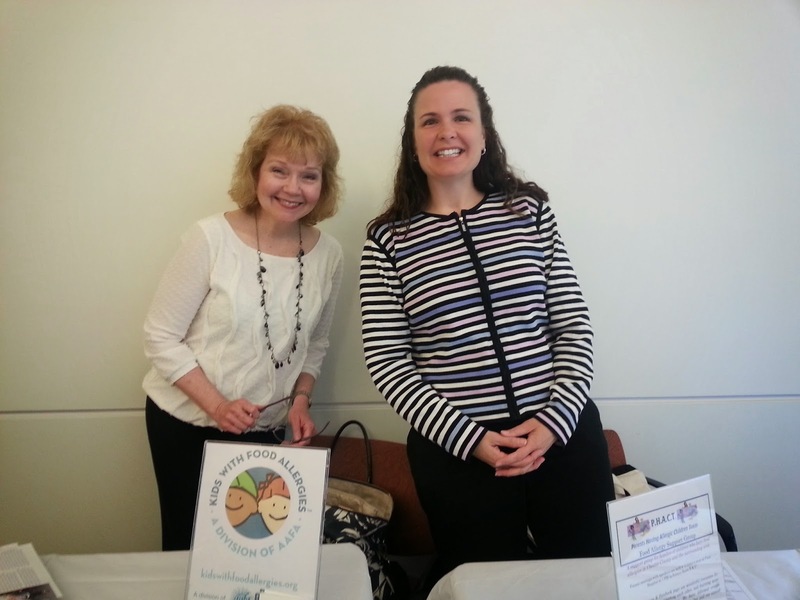 These two wonderful ladies both had tables at the event to promote their food allergy related organizations. Recognize them? On the left is Linda Mitchell, the Founder of Kids with Food Allergies, and now ‎Vice President, Asthma and Allergy Foundation of America, Kids With Food Allergies Division. On the right is Jenine Lawton, leader of one of our local parent groups, and part of FARE's Executive Council for Support Group leaders. She also wrote the VERY helpful preparing for preschool post on this blog a few months ago if you haven't checked it out already. We heard from the doctors/researchers conducting food allergy research like oral immunotherapy studies. We learned more about nutrition and food allergies, and managing food allergies in school. A pediatric psychologist spoke about how to deal with the psychological and emotional effects of food allergies. We also heard from two parents of children with food allergies and learned about how they've managed allergies in their daily lives. Here are a few tidbits of information I thought were especially interesting AND helpful reminders. Even if you're the most well-informed and up-to-date parent of a child with food allergies, it's still great to review what we know and help teach others! No antihistamine (like Benadryl) can take away the large amount of histamine that occurs during a serious reaction. Epinephrine should be used as directed by your doctor. Epinephrine (EpiPen, AuviQ, etc.) is most effective when used early in the reaction. If you wait too long, it may not work as well and may not be able to stop the reaction. It's normal for a child or adult to have SOME anxiety about food allergies. You can use this anxiety to make sure you're prepared and safe. However, if you or your child experience out of CONTROL worry, then it's problematic and time to seek help from a psychologist or other mental health professional. This event at CHOP was a great lead-in to the month of May which is National Asthma and Allergy Awareness Month and Food Allergy Action Month. In fact, next week is Food Allergy Awareness Week. I'm hoping to post more than once next week to observe this important awareness week! In the meantime, I encourage you to take action in some respect - here are some great ideas! Kathryn, I am glad you had the opportunity to attend this event, thank you for sharing your knowledge with us.